As a Sandals Preferred Agency we have been sending couples on Luxury Included Vacations for more than 10 years. Sandals Resorts delight couples in love with supremely luxurious accommodations, gourmet candlelit dining for two, gorgeous tropical settings and some of the world’s most exquisite beaches in Jamaica, St. Lucia, Antigua, and the Bahamas. Please call us at 1-888-963-8986 or 1-559-207-0545 to learn more about Sandals Resorts or for assistance with planning your Sandals Resort Vacation! Located on the quiet end of Jamaica’s famed Gloucester Road, this intimate resort creates the feeling of a charming bed & breakfast that’s huge in hospitality. Combining warm Caribbean charm with all the services of a Sandals Resort, guests enjoy a serene beach directly across from the resort, 24-hour room service, access to pampering treatments at the boutique spa and full exchange privileges at Sandals Montego Bay and Sandals Royal Caribbean. Ideal for active travelers and two people in love, this intimate resort provides authentic tropical vacation experiences while maintaining the secluded feel of a private island hideaway. Set on the North Coast’s largest private white-sand beach, it is no wonder that Sandals Montego Bay has so many beachfront rooms and suites, with panoramic ocean views, offering the ultimate romantic setting for two people in love. Sandals Montego Bay is Sandals flagship resort and a true original. Spanning the best private, white-sand beach in Jamaica, this playful and romantic resort is where the world first fell in love with Sandals. The calm, reef-protected beach is perfect for every type of water sport and guests can indulge in unlimited dining at nine gourmet restaurants serving authentic regional cuisine. Experience the casual island vibe from the comfort of your private seaside suite where our Butler Elite await to fulfill your every whim. Everything is just steps from water’s edge and, best of all, it’s all included. Sandals Royal Caribbean Resort & Private Island is renowned throughout the Caribbean for its exclusive refinements. The resort’s Georgian-style Great House setting hosts the gracious British traditions of a bygone era. Unique features include the “Sandals Island,” a secluded private island with an authentic Thai restaurant. Experience the royal treatment at this glamorous all-inclusive resort featuring the all-new River Pool Swim-up Suites with butler service, two pristine white-sand beaches, and exclusive VIP airport transfers in a Rolls-Royce or Mercedes-Benz for butler guests. Far from the ordinary, this inspired resort offers the ultimate in personalized pampering and luxurious accommodations. Fronting the longest and best stretch of Negril’s famous Seven Mile Beach, guests are treated to 24-hour room and Butler service, complete pampering at the Red Lane® Spa, an inspired selection of restaurants and bars and unlimited land and motorized water sports including scuba diving and waterskiing. Combining refined elegance with a laid-back atmosphere, couples, spa-lovers and honeymooners alike enjoy unforgettable stays at this romantic seaside escape. Considered the true Garden of Eden, Sandals Ochi Beach Resort, the largest Sandals Resort, is situated on the slopes of over 100 acres of beautiful hillside gardens overlooking the Caribbean Sea. This magnificently landscaped resort has taken the meaning of “lush” to a whole new level, with views to include blossoming gardens, grand mountain views and panoramic ocean views. This grand resort has catapulted guests’ expectations by offering more variety of accommodations, dining options and activities than any other Sandals Resort. A refined jewel amidst the rolling hills of Ocho Rios, the adults-only Sandals Royal Plantation Boutique Resort attracts couples, spa-lovers, honeymooners and luxury travelers with its perfect blending of flawless sophistication and friendly, personalized service. A member of the ‘Leading Small Hotels of the World,’ Sandals Royal Plantation boasts luxuriously-appointed oceanview suites, a championship golf course, an award-winning Red Lane® Spa, unobtrusive beach butler service, a premiere selection of restaurants and bars and an extraordinary atmosphere of old-world luxury and cool tropical breezes. Built in the glamorous 1950’s, Sandals Royal Plantation provides a refined oasis amidst the picturesque natural beauty of Ocho Rios, Jamaica. Located on pristine Dover Beach where the Caribbean meets the Atlantic and endless sunshine is accompanied by gentle ocean breezes, Sandals Barbados-All Inclusive invited you to surrender to the calypso rhythms of paradise. Sandals Barbados-All Inclusive provides an idyllic refuge for you to recharge and reconnect with the one you love. With more inclusions than anywhere else in Barbados, your worry-free holiday begins the moment you land on the island. So why not spend your days with white sand between your toes. Learn how to kayak in azure blue waters. Get lost in 10 acres of tropical gardens. Play golf amidst tropical surroundings. Play tennis under the stars. Indulge in an invigorating or romantic massage for two. Enjoy the freshest seafood and best rum punch this side of heaven. Located on pristine Dover Beach where the Caribbean meets the Atlantic and endless sunshine is accompanied by gentle ocean breezes, Sandals Barbados-All Inclusive invited you to surrender to the calypso rhythms of paradise. Sandals Barbados-All Inclusive provides an idyllic refuge for you to recharge and reconnect with the one you love. With more inclusions than anywhere else in Barbados, your worry-free holiday begins the moment you land on the island. So why not spend your days with white sand between your toes. Learn how to kayak in azure blue waters. Get lost in 10 acres of tropical gardens. Play golf amidst tropical surroundings. Play tennis under the stars. Indulge in an invigorating or romantic massage for two. Enjoy the freshest seafood and best rum punch this side of heaven. Or simply relax to the sound of Green Monkeys playing in the palm trees at sunset. After all, this is paradise Sandals Barbados-style – where…every enchanting day and magical night encourages you to live life well. Defying every convention of traditional design, the new Sandals Grenada takes innovation beyond the realm of imagination to create an extraordinary resort unlike anything you have ever experienced. Pools in the sky and living rooms in swimming pools. Private plunge pools, cascading waterfalls and meandering river pools. Here, in the heart of Grenada’s exclusive Pink Gin Beach, on an exotic island paradise where the intoxicating scents of spice and tropical blooms make a heady elixir for romance, we’ve taken the best of everything to create a whole new Sandals experience… one that takes you beyond the unexpected. 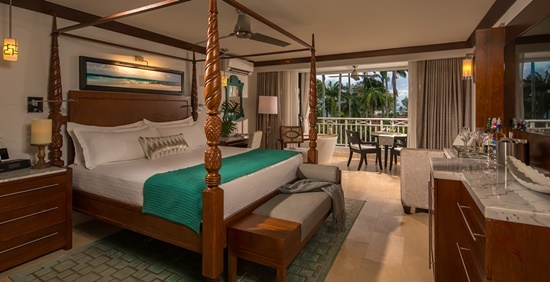 An exotic, unspoiled hideaway, Sandals Grenada will offer guests a romantic, authentic Caribbean vacation while providing the Luxury Included® amenities and exceptional service that have come to be associated with the Sandals Resorts experience. Sandals Halcyon Beach St. Lucia, the Ultimate Beach Resort, is made for lovers. Hidden inside the naturally beautiful landscape of Saint Lucia lies a secret garden filled with effervescent flowers, luscious palms and serene waters, where couples come to escape and fall in love all over again. A true beachfront resort, with the excitement of the Caribbean and the quietness of a deserted island making it a ‘Home away from Home.’ The Resort stretches along 1039 feet of white sand beach. Rooms highlight true Caribbean architecture, all in 1 & 2 story buildings amidst a kaleidoscope of colors from the secluded and lush gardens. A 302-room, 17 acre resort for couples only sits on a spectacular peninsula, surrounded by the warm Caribbean Sea. Pigeon Island, home to our annual St. Lucia Jazz Festival, combines historic British & French flavor that unfolds at Sandals. The resort offers exotic Island & International culinary temptations at eight  dining options, Ocean & Beach view accommodations and a meandering lagoon swim-up pool where guests can swim right up to their patio. Enjoy relaxing treatments at the Red Lane® Spa, take a plunge in one of the 4 pools or play a round of golf at nearby Sandals La Toc Golf Resort & Spa. Saint Lucia’s most glamorous resort, Sandals Regency La Toc is a magnificent 210-acre estate set on a half-mile, crescent-shaped beach, cradling exotic coral bluffs, lush hillsides and rolling fairways. Featuring a challenging executive-style golf course, stunning oceanfront suites and the private enclave of the Sunset Bluff Village, this resort is recognized as the most sparkling jewel in the islands. Indulge in Five-Star Diamond French cuisine and other international cuisines with access to 27 restaurants with the Stay at 1, Play at 3 exchange program. Sandals Regency La Toc Golf Resort & Spa in St. Lucia is situated in the secluded setting of a 220 acre tropical estate with its own 9-hole golf course sloping down the hillside to a magnificent golden beach. The resort has a sophisticated yet fun atmosphere and a tremendous variety of rooms and exquisitely furnished suites, including the magnificent Millionaire Suites. Call Us Today at 1-888-963-8986 or 1-559-207-0545 For Your Free Consultation.